This is a long answer item type that integrates speaking and reading skills and requires test takers to read a short text aloud, using correct pronunciation and intonation. If you have any doubts let us know through comments. Animals have played a major role in human’s lives throughout history. Today, scientific research is trying to (1)_______ the positive aspects of living with companion animals. Animals have been used as an (2)__________ form of treatment for many years. More recently it has been discovered that owning a pet can help lower people’s blood pressure, (3)_________ the chances of living after a heart attack, keep people more active and provide more satisfaction with life. It is (4)__________ that this happens because pets help people become more social, provide a means to give and receive (5)___________, and help connect us with the natural world. 1. The answer is “discover” because “to” preposition is always followed by Verb’s First Form. Out of the given answers list, only Theorized and Discover are the two Verbs. And, we selected Discover out of the two as it is in Verb’s base form; however, Theorized is the second form. 2. The biggest hint is that there is “an” right before the blank. So, the possible answer should be the one beginning with a vowel. Out of Alternative, Enhance and Affection, we picked Alternative because it means “Substitute.” As per the question’s demand, animals have been used as an alternative (means substitute) form of treatment makes sense. 3. The first clause in the sentence is that pet can help lower people’s blood pressure. It gives an idea that the sentence is about the effect of pets on different phenomena of the body. Enhance means “increases.” Therefore, we have used it as the answer because it gives the meaning that owning a pet can enhance (increase) the chances of living after a heart attack. 4. Theorized is the third form of verb derived from a noun Theory. In this sentence, we are talking about the theory that pets help people become more social…Hence, the verb Theorized has been used after is, which is supposed to be followed by Verb 3rd form. Read the given text and choose words from the box to fill the gaps. The poem “The Road Not Taken” by Robert Frost is about the (1)_______ that one makes in life. It tells about a man who comes to a (2)_______ in the road he is traveling upon. He feels (3)________ that he cannot travel (4)________ paths as he must choose one. Frost uses this fork in the road to represent a point in the man’s life where he has to choose the (5)_________ he wishes to take in life. 1. Here worth-noticing point is that after blank, verb makes has been used, which is a singular verb because it ends with s. Hence, the blank should have a plural noun according to the rule of Simple Present Tense. Out of the options, we have only one plural noun, which is “choices”. And, even when we fit it in the blank space, the sentence becomes that Poem is about choices that one makes in life, which makes complete sense. 2. The first hint is that before blank, there is article a, which is used before a singular countable noun. Hence, our options shorten to sorry, direction, trail, and fork. We picked fork out of the remaining options because fork in the road means a point on the road, where we have to make a decision on the path to choose. Moreover, the next sentences ensure that our answer is correct because it says “paths as he must choose one.” Also, at the end of the passage, Fork in the road has been used already, which is another hint that cannot be missed. 3. He feels should be followed by a feeling. So, we have two options pleasant and sorry. We picked sorry because the latter part of the sentence says that he must choose one, means the person is obliged to choose one out of the given options. Hence, he or she will feel bad of course! 4. We have picked the answer both because we must pick some answer which signifies a number more than one, because, in the next part of the sentence, the person is supposed to pick one path. Moreover, in the previous blank, we have written sorry. As a matter of fact, one will feel bad only if he is made to pick one out of one than one option. Montego Bay is the second largest city in Jamaica by area and the third by population. It is a lively and (1)_______beach resort and attracts a lot of tourists from many different countries with its (2)__________ beaches and (3)_________ relaxing atmosphere. Many Americans and Europeans, as well as Jamaicans, have summer homes in Montego Bay, so it is a (4)_______ city and becomes more (5)_________ during the holiday seasons. It is most famous for Doctor’s Cave beach, which has clear, turquoise waters. High emotional intelligence can help a manager (1)_______ workplace communication skills, employee motivation and organizational effectiveness. If a manager has high (2)_______ _, a key component of emotional intelligence, he or she will be able to (3)_________ to the concerns of employees and will be more understanding of their needs, wants and concerns. This will most likely translate into (4)_______ motivation and satisfaction of employees and ultimately will have a (5)_________ effect on the effectiveness of the business. 1. Lively here means somewhere crowded and full of life. After that and conjunction is used, which is used between two similar kind of words. Hence, we used bustling in the blank space as it means a place full of activities. We did not pick crowded because it gives a negative meaning but here we are trying to define the beach in a positive manner. 2. Here there is a blank space before beaches, which is a noun. Hence, in blank space, we are supposed to fill an adjective. Out of the given options, we have peaceful, cosmopolitan, sandy as adjectives. We picked sandy because it defines beach in a better way. 3. Before relaxing atmosphere, we need to fill in an adverb, which adds more meaning to adjective relaxing. Hence, we picked peaceful because it is identical to the word relaxing. 4. Here as well, we are supposed to fill an adjective in the blank space, before the noun city. Hence, we used cosmopolitan because it is an adjective used for city, which means a city which has people of different countries and cultures. 5. We have used crowded here because in the previous blank we have used cosmopolitan, whose definition has been given above. And, we are talking about holiday season. Therefore, crowded makes sense here because most of the people are free during holidays; so, they move onto beaches making them crowded. 1. Here, improve makes sense because we are showing that emotional intelligence makes all the following three factors better. Hence, improve is a suitable word choice. 2. 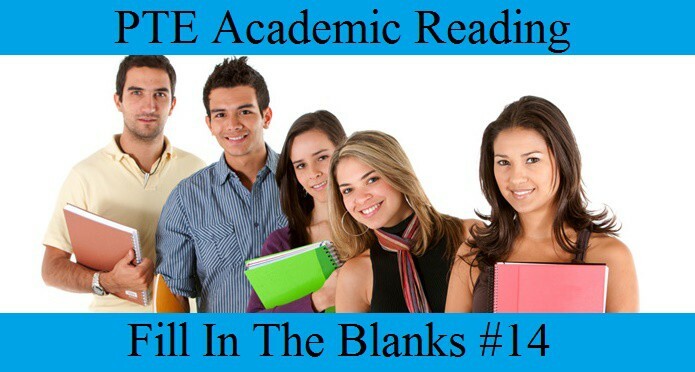 Before blank, there is an adjective, which means that in blank space, we need to fill in a noun. Out of the options, only empathy is a noun, which means ability to understand the feelings of others. Moreover, it is a quality that a manager needs to possess in order to have happy staff. 3. Here, there is “to” before the blank space and “to” preposition is always followed by Verb’s First Form. Out of the given answers list, we are only left with one verb, which is listen. Moreover, it is in the base form, which further justifies our requirement. Need not to mention, it clarifies the meaning of the sentence as well. 4. After filling the above three answers, we are left with determiner, employed, positive and increased as options. According to our question requirement, determiner/employed motivation does not make any sense at all. We did not pick positive motivation as the answer because motivation itself means pushing someone towards achieving a goal. Hence, there is no need to put the word positive before it because motivation is always positive. 5. Here, we are supposed to use an adjective for noun effect. And, effect can be either positive or negative. Therefore, we have picked positive from the list. 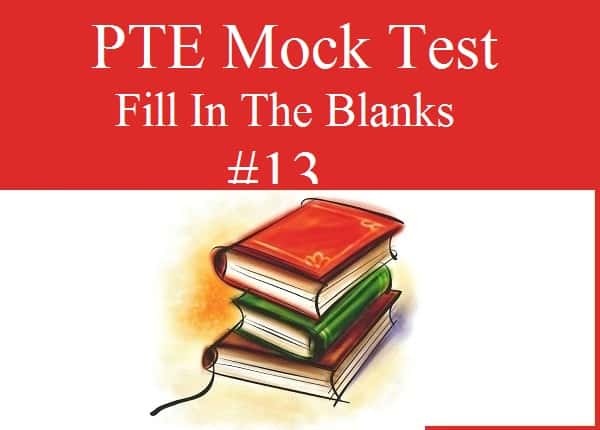 Hello fill in the blanks maker, have you ever sit in the pte test? Go, try the test and upgrade your questions. Pearson is no longer using simple words like you have shown in your questions, they are using the words from out of this universe. very good, tks for your help. Can you send me more tips and quastions? can you provide me some tricks and materials for reading section Fill in the blanks and also for write from dictation….. This “Fill in the blanks” section is very helpful. 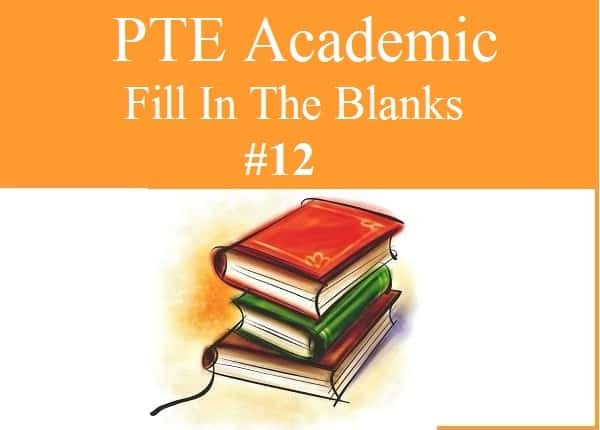 Please share some more materials on PTE reading, also let me know how to subscribe. please send me tricks ,this post was very helpful. I am aiming for PTE reading Section 65+. I always find it difficult with Fill in the blanks section. Can you please provide me tips and tricks? I am from Nepal.. Could you please forward me notes and documents for preparing PTE exam? Waiting for your prompt response! You are doing a great job and i could see ,some of the q’s are repeated in exam,my target score is 79+ , i got 67 in all .plz help me on this. i am facing problem regarding to typing and summarize written text.could you please help me related to summary writing. Check repeated section category, you will find repeated SWT. Your doing a great job sir, could you please send me some materials. I gave the exam twice, but could not succeed, i got 48 which i need to get 65 please help me out..!! Iam planning for a score of 79+. Can you please send me the material for Reading, Writing, Listening and Speaking. hello sir..u r doing a great work, my target score is 79+, last attempt i got less in reading and writing, 72 & 68. could you suggest me some good material or strategy. kindly mail me at [email protected] at your ease. hiii sir my aim is 79 in every module.please can you help me in reading section specially and can provide me some material regarding that. Hello sir, can u please send me some materials to [email protected]? kindly help, I am looking for a score of 79+. Nice author! 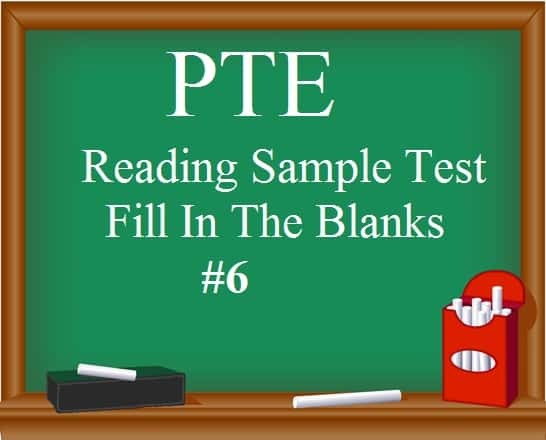 I like your PTE sample, it is pretty good! 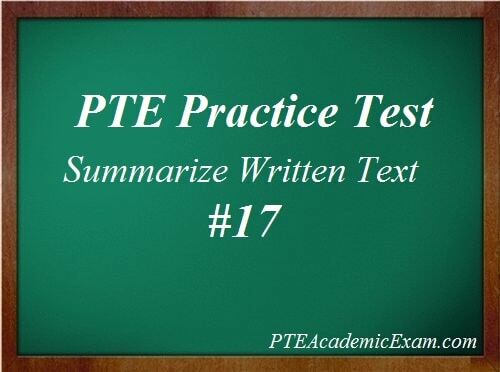 So could u plz send more PTE reading, writing and listening sample materials to me so that will help me a lot in preparing my real PTE test this month. Thank you so much! Please help me out, how to get maximum scores in writing and as well as in listening module. could you please mail me the material and frequently asked questions, I have the exam on 27th December,17. This is a very good resource for practice PTE. I am lack of skills with respect to Reading fill-in the blanks. Could you please help me to crack it by providing some tips. Can you please help me out for reading and writing module by providing more resources. I always struggle on this two. Hi. Please help me with speaking tips. I really need those to get good score in speaking. Please help me. Hi there could you please help me with some tricks and tips like others. The above material is very good, thank you very much. Could you please send me some reading materials and writing materials. I’ve taken my exam last month and I failed reading. I got 62 which I need to get is 65. Passed everything except the reading. Hi, could you please help me some tips for this part. I also struggle with it. Hi Irfan ..When u are going to book slot ? I am also struggling in this section. Can you plz share some tricks. I am confused quite often….please help…..
What confusion are you facing? I need some more tips to exercise, I’m confused to select the correct option. I have sent you a mail, check it. very helpful resources but need few tips to improve, sps fill in the blanks area where i get confused. Could u help me with tips n tricks in general for overall pte on given id. 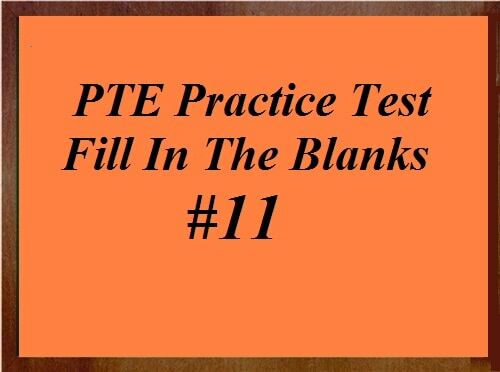 Please send the tricks of PTE reading fill in the blanks. The above material is quite helpful. Can you please forward me tips and tricks… With repeated samples…. Great resources, but could you give me the tips and tricks!! Can you please send me more samples for reading & writing??? Can u tell me tricks plss?? 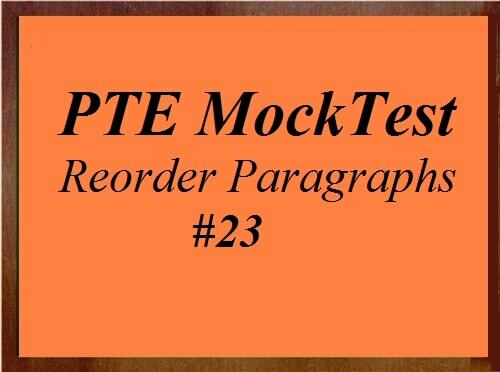 can you sent me more sample reading test for PTE. thank you it very useful. Very very helpful test, your efforts are much appreciated, pls continue with same. Hii! Thank you, Your compliment is really worthy for me. This is a very nice PTE sample FIB short. Thank you very much. This forum is nice, but if you would have explain each blank why the respective answer is fit in respective phrase or sentence, then we can understand it better and quicker. Ex:- This is fit because of grammar rules or collocation or cohesion etc would give high level idea to prepare by self . Thanks for the suggestion. We are already in the process of updating. This will help. For now, we are updating reorder paragraphs (with explanations). 3) blank is after preposition so most likely it will be base form of verb so answer is listen. I like it Please post more which covers PTE requirements criteria. hey please tell me that the level of final exam will be the same as above or it ill be harder????? You get 3-4 fill in the blanks paragraph. I would suggest you to spend not more than 1.5 minutes on each fill in the blanks paragraph. Hi, As you suggested, will we be allowed to carry a watch with us? or will they be providing any digital watch? One more thing how many paper sheets do we get to make notes during the exam? You won’t be allowed anything inside the test center, you won’t be able to take even a piece of paper inside. They will give a notepad and a marker. 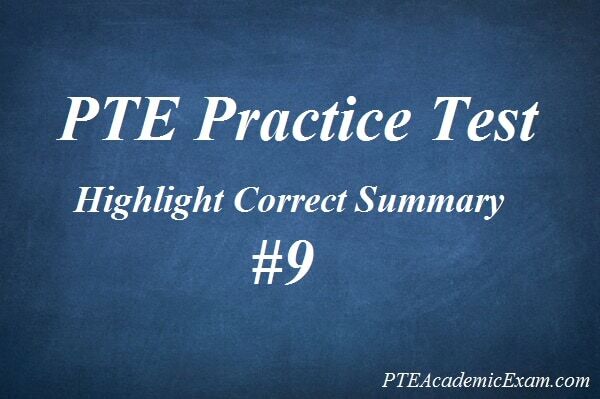 very good practice for PTE . Please post more exercises!!! Check out reading category, you will find more exercises.